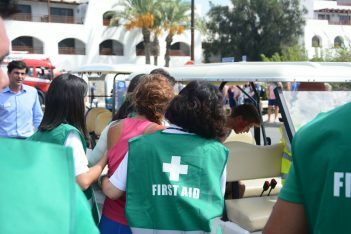 The Creta Maris Beach Resort, located in Hersonissos on the island of Crete, recently held its annual earthquake drill as part of its crisis management program, which aims to ensure the safety of its employees and guests. 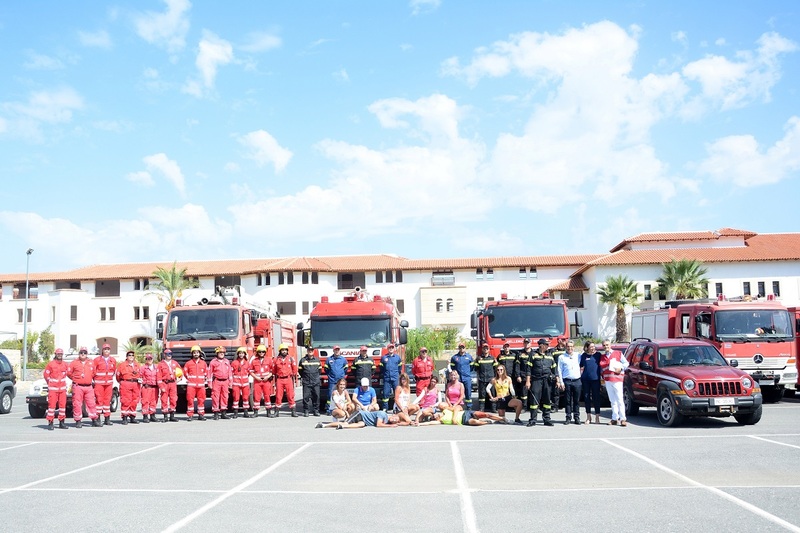 The resort held the drill within its facilities for the seventh consecutive year as part of its annual action “Crisis Management as a result of a natural phenomenon”, which focuses on the preparedness of its specialized emergency team and the safety of its employees and guests. 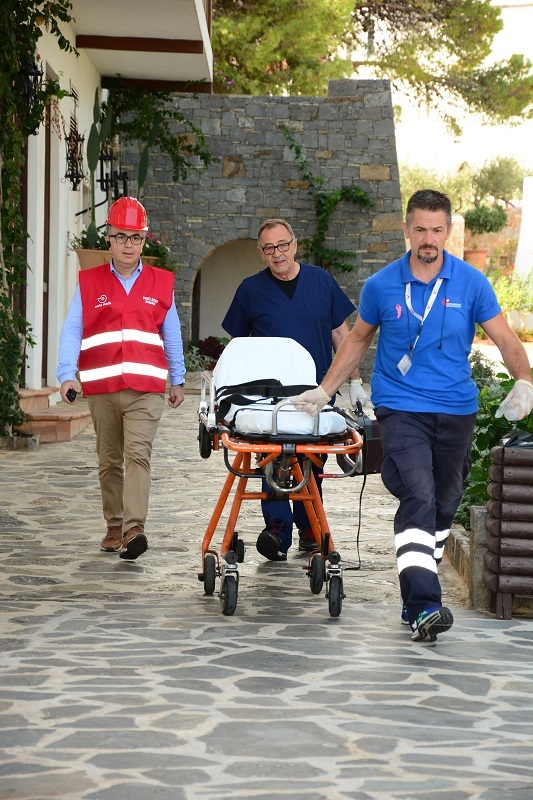 The evacuation exercise was carried out under the supervision of Efthimios Lekkas, professor of the Geology & Geoenvironment Department of the National and Kapodistrian University of Athens, in cooperation with local authorities. 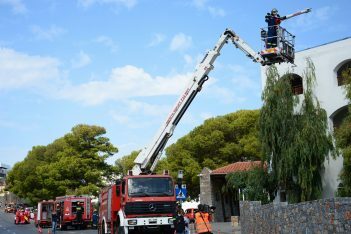 Following the exercise, Professor Lekkas gave a lecture under the theme “Business planning for dealing with earthquakes and fires in a hotel’s environment”. 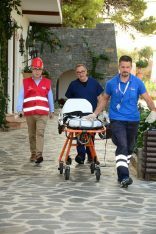 This year’s evacuation exercise was attended by the Vice Consul of Great Britain on Crete, Aristea Chourdaki, who was welcomed by Andreas Metaxas, CEO of the Metaxas Group of Companies and Consul of the Scandinavian countries on Eastern Crete. 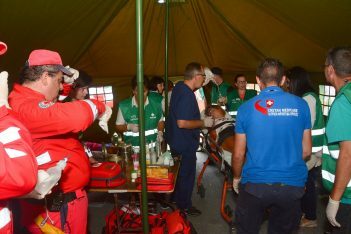 Also attending were the Commander of the Fire Department of the Prefecture of Heraklion, Ioannis Maragkakis; the Regional Commander of the Coast Guard of Crete, Alexandrakis Georgios; Hersonissos’ Port Authority Chief, Athanasia Perisinaki; the representative of the Tourism Ministry, Aris Stratakis; the representative of the Region of Crete, Ioannis Koufakis; and the Mayor of Hersonissos, Ioannis Mastorakis. The Creta Maris Beach Resort is located 24 km away from the Heraklion Airport. It includes 680 rooms, suites and bungalows; six restaurants; seven bars; seven swimming pools; a gym; the Hammam spa, the Asterias Children’s Club and spaces for outdoor and indoor activities.